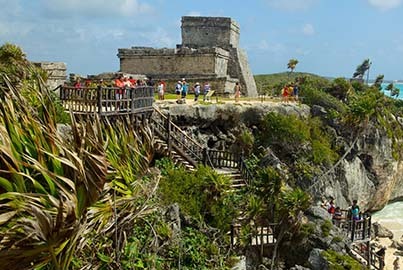 Visit Tulum and Coba in one day. Refresh yourself in a sacred cenote after soaking into mayan ancient culture, simply magical! Enjoy 2 top tours in one! 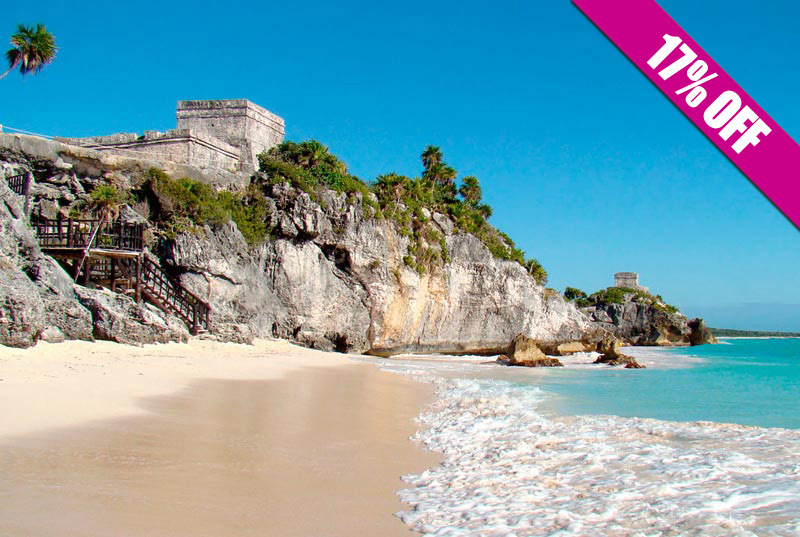 Visit the millenary mayan cities of Tulum and Cobá ruins on this guided tour from Cancun or Riviera Maya. Refresh on a natural cenote and visit Playa del Carmen. Lunch and transportation is included. 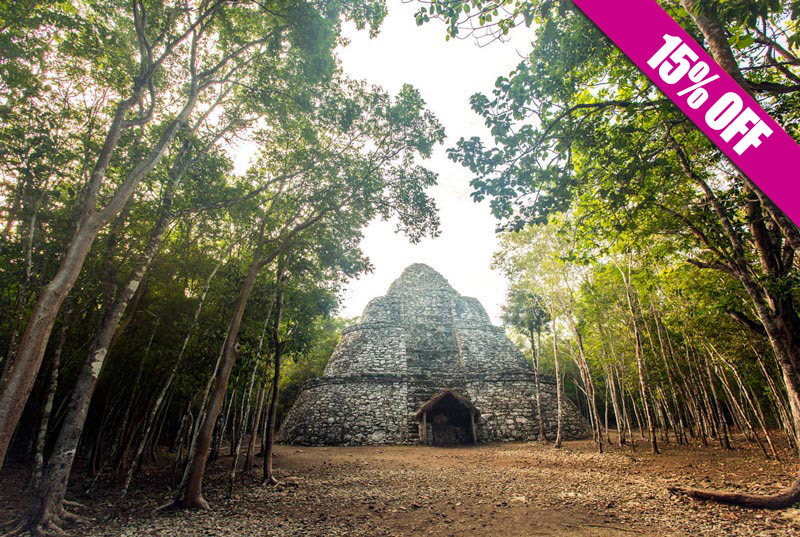 This is considered a luxury trip for its abundance of natural beautiful attractions and interesting Mayan culture information. 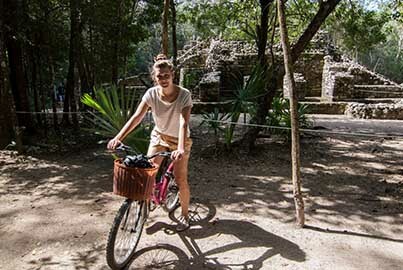 Start your Tulum and Coba tour from Cancun, Playa del Carmen or Riviera Maya with a prompt air conditioned hotel transportation and meet your friendly, knowledgeable guide who will offer a short briefing on the way to our first stop (Tulum mayan ruins). 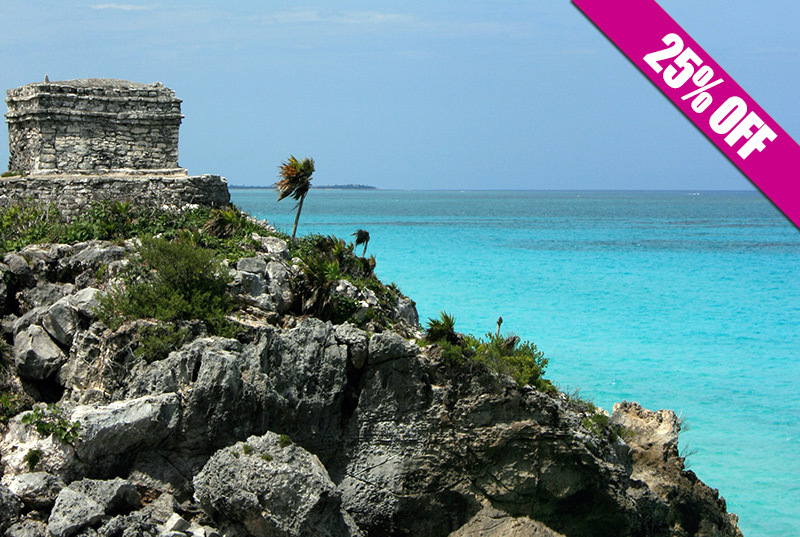 Amaze yourself during your guided tour on Tulum ruins, where you will learn everything about this walled city and its importance in the mayan society. 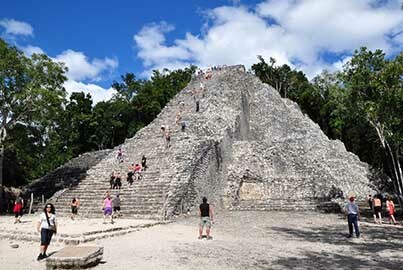 Free time to walk around and to take pictures is offered before heading to the second stop, Cobá. 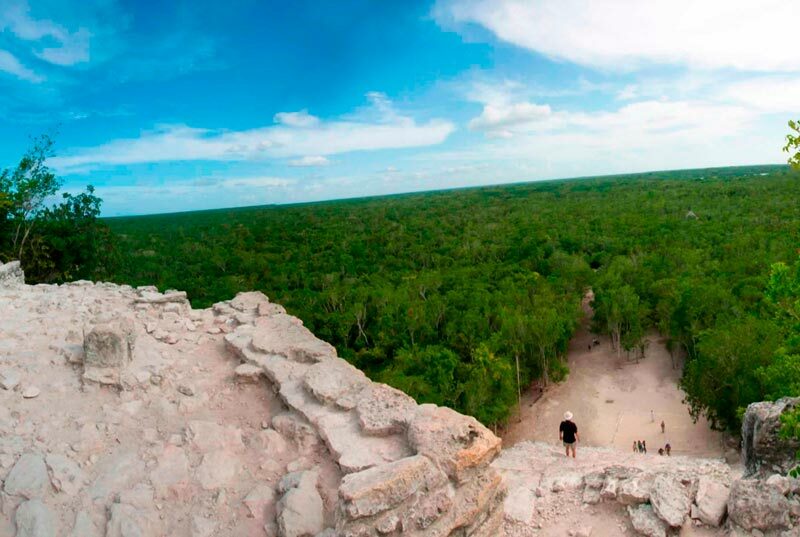 Once in Cobá, climb the tallest pyramid in Quintana Roo, Nohoch Mul, which means "great mound and is 42 meters tall (137 feet). 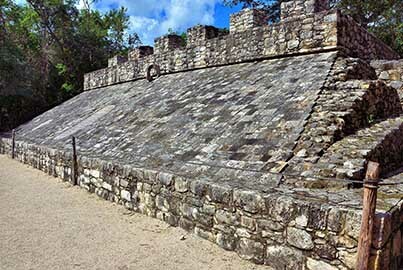 Admire other interesting structures such as "The Church" and 1 of two sacred ball courts located in this site. Finally refresh yourself in a crystal clear cenote and visit an authentic Mayan village to have a delicious buffet meal here. As a courtesy, people coming from Cancun will have a brief stop in Playa del Carmen, to walk around in the world famous 5th avenue. Roundtrip air conditioned transportation, all entrances fee, guided tour on both places, meals are included. 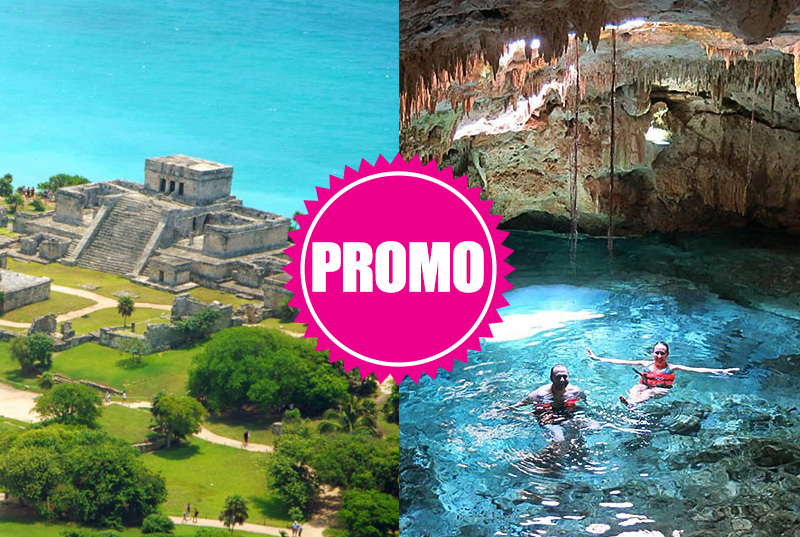 The Tulum coba cenote tour, is a must while vacationing in Cancun, Playa del Carmen or Riviera Maya, book now! Transportation on air conditioned vehicles. Bilingual certified federal guide (English-Spanish). 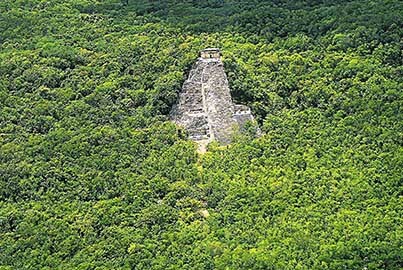 Access tickets and guided tour to archeological sites Tulum and Coba. Free time on both mayan ruins to walk by your own and pictures. Visit and use of Cenote (sinkhole). Buffet Lunch (does not include drinks). Use of mini train in Tulum. Tips for guides. All of them optional. Preferably cotton and light color clothes. Extra cash or card for drinks and personal expenses. 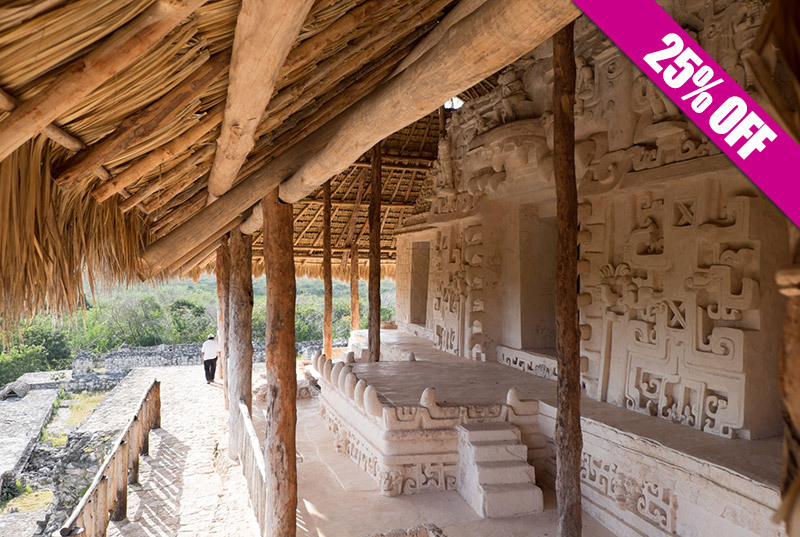 The archaeological site charges an extra fee to enter with video cameras.